Passers-by tried to save Mary McNeill by giving her CPR but she died at the scene in Dalgety Bay. Allan Mackie appeared at Dunfermline Sheriff Court and admitted a charge of causing the death of Mary McNeill, 76, by careless driving on May 23, 2013. The court heard Mackie, a street cleaner, was reversing in Dalgety Bay, south Fife, when Ms McNeill, who was in the town shopping, began to cross Moray Way. Mackie's Ford Transit van struck the OAP on the nearside of the vehicle. She was run over by the rear left wheel of the vehicle then dragged along the street for a short distance. Fiscal depute Claire Bremner told the court: "She would have been visible in the near side mirror prior to the impact. "She would have been visible for three to four seconds behind the vehicle. She was struck by the vehicle and knocked to the ground. "The vehicle continued reversing and the left rear wheel ran over her. She was dragged along the roadway in an easterly direction. "At around this time a member of the public passing the locus saw her legs on the roadway. "The woman stopped and spoke to the accused who was in his cab and said 'I didn't see her'. "He was holding his mobile phone and the woman said to call emergency services. "A nurse passing found a strong pulse in Ms McNeill's neck which grew gradually weaker. "It became apparent she stopped breathing and CPR was commenced. Other members of the public stopped to give assistance. "It then became apparent she had died. The accused was taken to hospital in an ambulance in a severe state of shock. "The cause of death was recorded as multiple chest injuries." 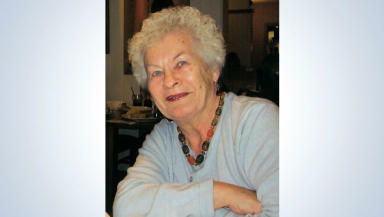 Mackie, of Langside Avenue, Leven, pleaded guilty on indictment to causing Ms McNeill's death by careless driving. 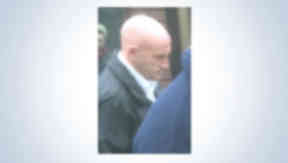 Defence advocate Barney Ross said: "This is a genuinely tragic case and for his part Mr Mackie is deeply remorseful. "He has instructed me to apologise to the family and friends of those affected by the death of Mary McNeill and extends his condolences to them." He said: "The Highway Code says anyone driving a vehicle like this without rear view mirrors should have someone behind them keeping a lookout. "It seems to me this was a deliberate act of reversing in breach of the Highway Code. "It is incumbent on the driver to make sure there is somebody there." In a statement after her death, Ms McNeill's daughter, Valerie, said: "She was an active lady who enjoyed the company of family and friends. "Mary will be sadly missed by all who knew her, especially her family."